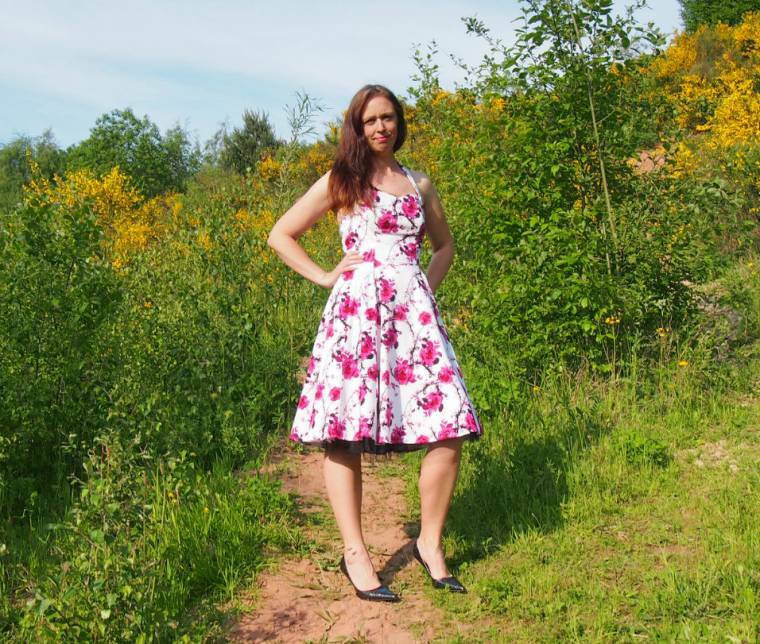 Joe Browns Japanese Blossom Dress Review. Hello friends, how beautiful is this dress!? What would be my perfect style of clothing? Something Unique? Vintage? or Modern? Perhaps a mixture of all three? I am not sure, I seem to change my mind daily! Certainly, I love shoes and dresses. If you are a regular reader of my blog you will know I like floral or polka dot designs. It was a pleasure then, to be asked by Joe Browns last week if I would like to review something from their website. I often browse the website as their clothes are right up my street. 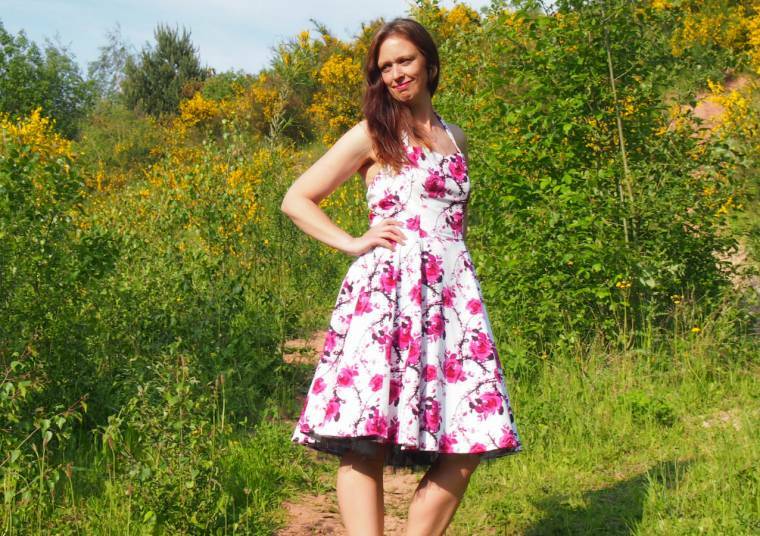 Modern clothing with a vintage twist and lots and lots of floral designs. After a busy weekend painting, building a trampoline and gardening I was exhausted. After the school run on Monday, I fitted in a quick run and spinning class. Treated myself to a nice long shower, then I decided to have some me time and have a day of dressing up (At least until the kids were due to be picked up!). I picked this Japanese blossom dress. I loved the style and pattern and thought it would be ideal for the summer season. When it arrived it looked amazing, even better than I imagined. I couldn’t wait to try it on. The dress is really good quality, looks beautiful, fits great and makes you feel really confident when wearing it. Available in pink or black and white. I cannot wait to go on my holidays now to show it off. I just need somewhere fabulous to wear it. 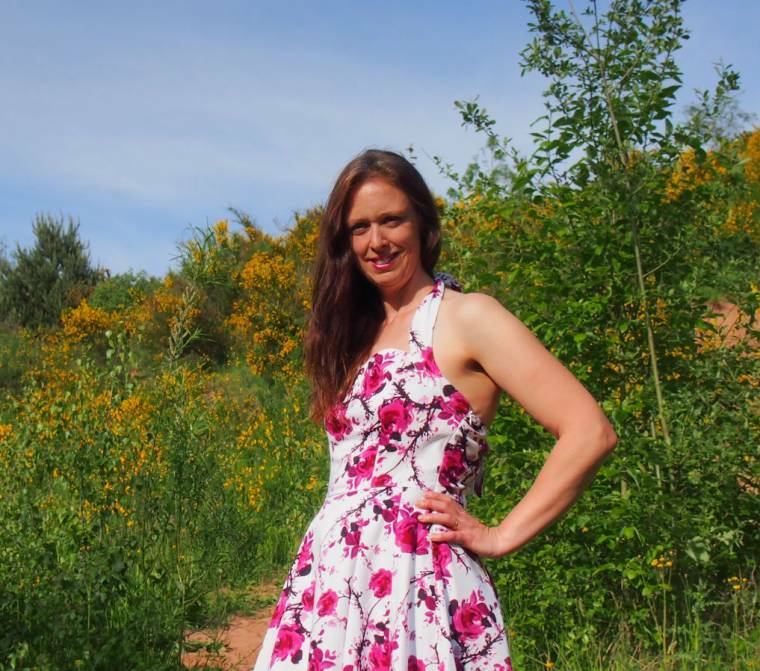 I would like to say a big thank you to Joe Browns for gifting me the dress and my 11-year-old son and 8-year-old daughter for taking these beautiful pictures for me. 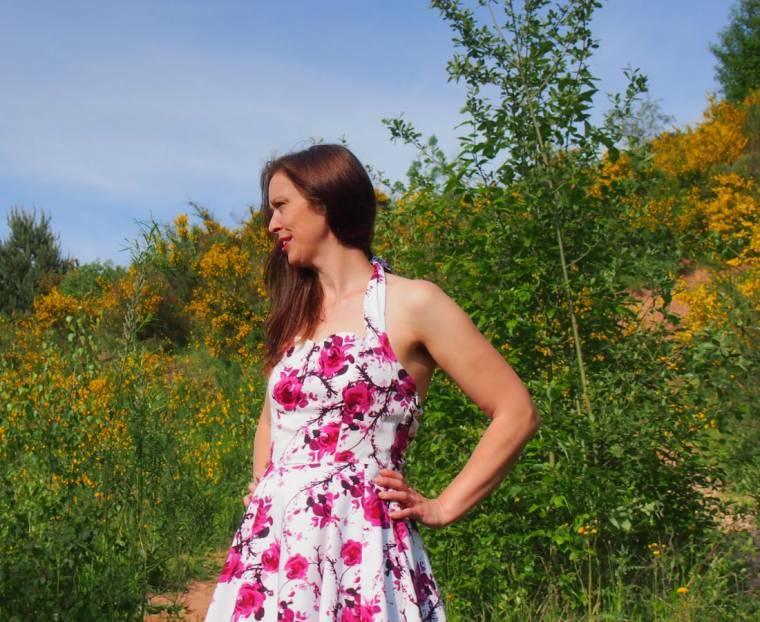 Peach Blossom Spring Dress: Joe Browns Dress Review. 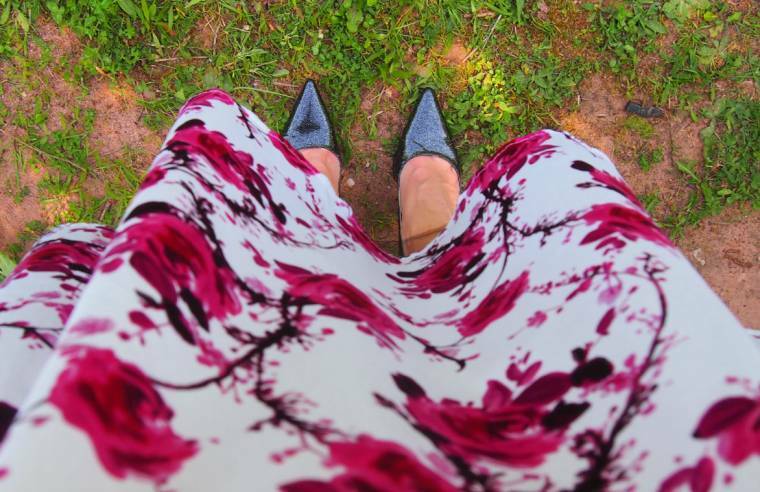 "Creative Mondays And This Weeks Featured Blogs"
"Irregular Choice London : Wordless Wednesday Blog Hop……"
Beautiful! 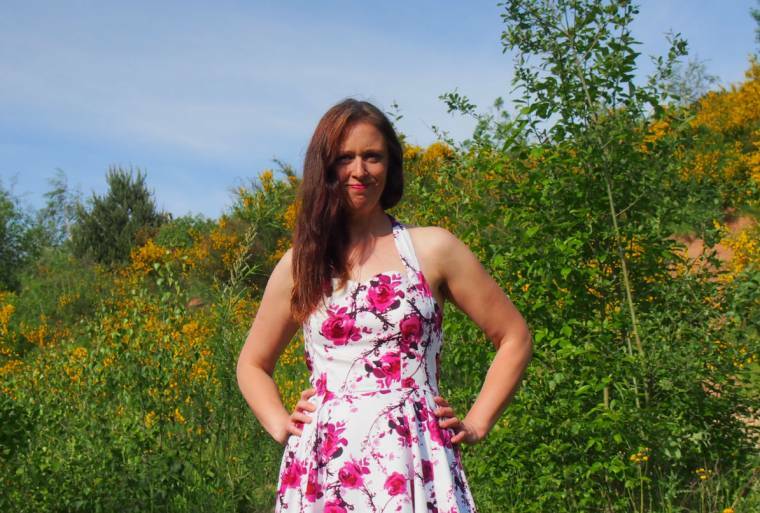 It's the perfect sundress and you look great in it! Wow Claire! That dress was ment for you!!! It's so beautiful ! How gorgeous and summery is that! You look smashing! You look beautiful! I do not see cherry blossoms…I see roses? But anyway it is a beautiful dress and looks great on you! Awesome dress! !It looks absolutely fantastic on youI love the pattern and the colors! This is a mega pretty frock! The colours are lovely and my favourite detail is the black net trim on the hem – gorgeous. I spotted a black and white dress in M&S (I know, not exactly cutting-edge, but I do like some of their stuff) the other day. It had a black net trim also, and I nearly bought it just for that. Reminds me of some of the Collectif frocks. Wow…that dress is beautiful on you! The cut is perfect and I love the floral pattern. Your kids take good pictures! Fabulous dress and it looks stunning on you !!! well done to the budding photographers …they did a great job. That really is a beautiful dress and suits your perfectly! I always wondered who took your photos for your blog – well done to your kids! Gorge dress!I love it when I get a Joe Browns insert in a magazine as I enjoy a quick flick through! It is one of the inserts I actually read!! That dress is so lovely! I think that's one of my favorite floral patterns I've ever seen! This dress is so pretty! I'll have to check them out!